Under company policy, Gerda Spillmann products cannot be ordered without consultation with an trained skin care professional. Give us a call at 888-222-0637 to speak with your trained professional today! Gerda Spillmann does not allow online sales of their amazing cosmetics products. In order to place a Gerda Spillmann order, you have to CALL Skincare By Alana! We have experts standing by to help you make your Gerda Spillmann purchase. Madame Gerda Spillmann is the first lade of Swiss skin care and a pioneer in the skin care industry. In 1944, Gerda had a dream to create luxurious skin care products that all women could enjoy. With undeterred determination, she created the Gerda Spillmann foundation. Her entrepreneurial spirit was unbreakable, and even though it was a difficult task to be taken seriously as a female business woman, Gerdap pressed on. In spite of the obstacles Gerdap Spillmann created an amazing line of cosmetics and makeup products. Over 60 years later, we continue to enjoy the benefits of her hard work every time we put on Gerda Spillmann makeup or skincare products. Gerda Spillmann offers cosmetics and skincare products that meet your every need. The Gerda Spillmann Bio-Fond Cream Foundation, their most popular product, is an exceptional treatment foundation that beautifies the skin and enhances the health of your complexion. It's not surprising, then, that Gerda Spillmann has gained countless loyal fans and customers. Offering an astonishing variety of merchandise, Gerda Spillmann is sure to meet your every need in every skinc are category. Get all of the cosmetic and skin care products you'll ever need at Skin Care by Alana with Gerda Spillmann. From bath and body to sun protection, acne solutions to moisturizers, toners to makeup, and applicators, to everything in between Gerda Spillmann does it well. Every product from Gerda Spillmann is a 100% pharmaceutical grade, Swiss formula that will work wonders on your skin. The same high-quality standards and specifications apply to Gerda Spillmann cosmetics. With Swiss products from Gerda Spillmann, you get nothing less than the best. Gerda Spillmann Cosmetcs cannot be sold online. Please call us to order their luxurious products. Their most popular product has to be their Gerda Spillmann Bio-Fond Cream Make Up , but the colors, sizes, and compacts can be extremely confusing to order. So please call us, and we can help. Order Gerda Spillmannn products online anytime from Skin Care by Alana, located in Orange County, CA. We are committed to providing you with unparalleled excellence in service and customer satisfaction! 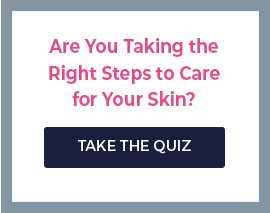 You can call us 7 days a week to receive complimentary advice or answers to your skin care and makeup questions. We have a live makeup artist and esthetician standing by!